Each day, dozens (sometimes hundreds) of incidents and maintenances are created on the Status.io platform. We’ve analyzed and studied thousands of these events to help us learn how to improve the tools based on our users’ needs. Today we’re announcing a couple of updates that enhance and streamline the incident and maintenance processes. Let’s dive in! You can now add or remove affected infrastructure in existing incidents and maintenances. This is great for situations where a component was accidentally included or excluded from an incident or maintenance. It’s only a couple of clicks to update the affected infrastructure. Learn more in our knowledge base. You can set different status levels for each component and container during an incident. 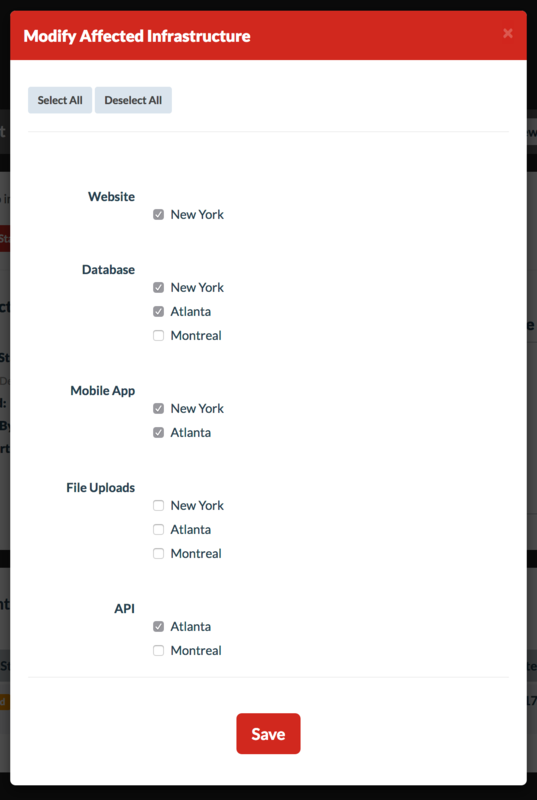 In the below example, the Atlanta API has been fixed while the Montreal API is still experiencing an outage. 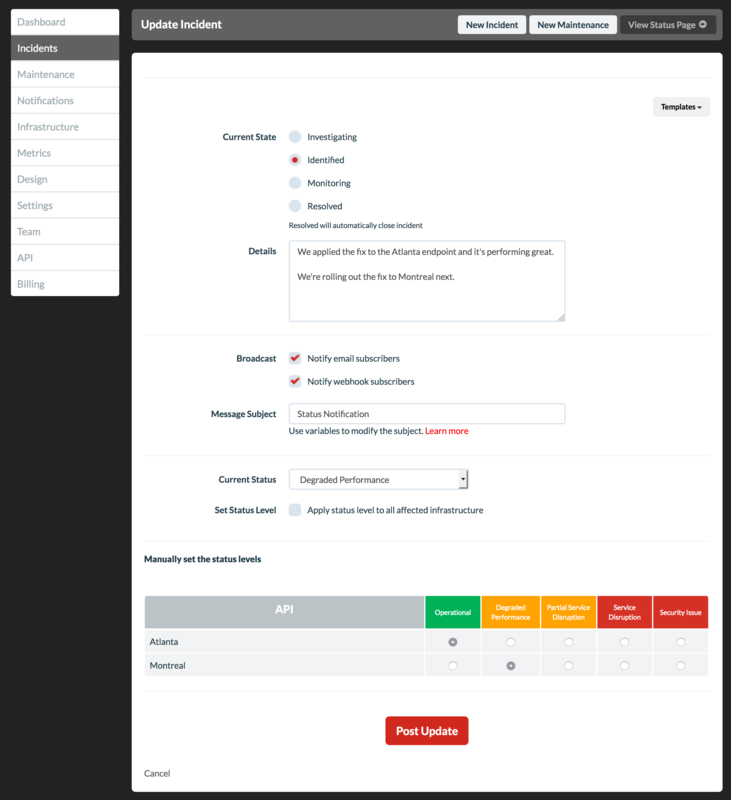 Learn more about working with incidents in our knowledge base. Our Developer API has been updated to reflect these improvements. Check out the latest API documentation at developers.status.io. Don’t worry, existing integrations using our API will continue to work as they have before. You may choose to upgrade anytime when you’re ready to take advantage of the enhanced functionality.